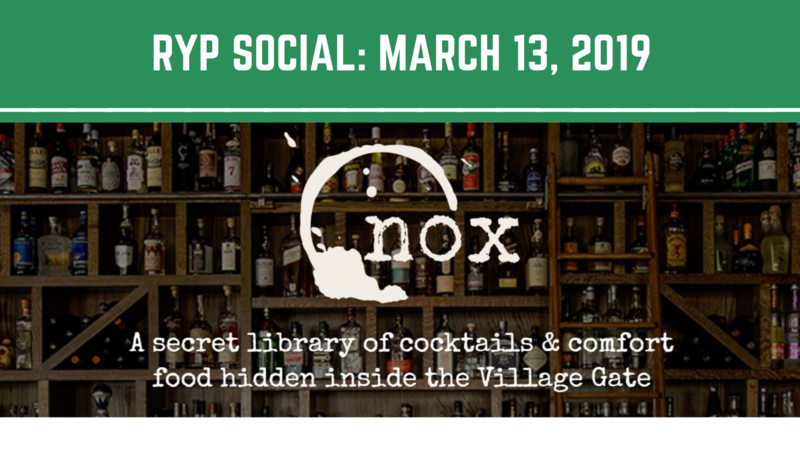 RYP Social: Nox Cocktail Lounge | Rochester Young Professionals, Inc.
Nox is a NOTA favorite. If you’ve never been, you’ll find it in Village Gate. Comfort food, great beer and cocktails, Harry Potter vibes. RYP will have the private room reserved, (just look for the sign inside the main bar pointing you that way) so that we can enjoy the extended happy hour specials and exceptional food treats all to ourselves. Plenty of space and a cozy atmosphere – be sure to join us!